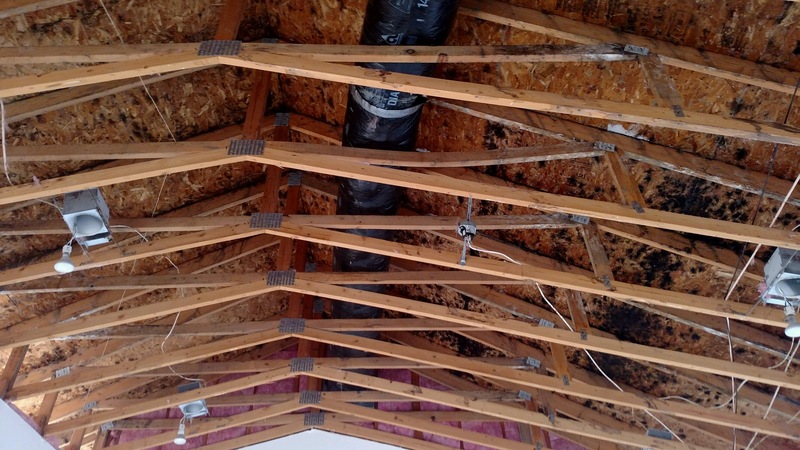 In this particular case, the damage was found in the roof due to lack of proper ventilation. DO NOT TRY TO TREAT MOLD DAMAGE ON YOUR OWN. You need proper equipment. It is for your own health and safety that we suggest using a certified professional for mold removal and testing. old is a growing problem despite the dry climates of southern Utah and Nevada. When combined with disastrous floods or leaks, mold damage can be compounded very rapidly and even pose risk to those in its proximity if not given immediate attention. It grows in inconspicuous locations, where moisture is present: underneath floors, in between walls and in other moisture-laden places not checked frequently. Mold reproduces by means of tiny spores which are invisible to the naked eye and travel along air currents both indoors and outdoors. If you suspect mold growth at your home or office call the experienced professionals at HiCaliber. We service southern Utah and parts of southern Nevada. Our technicians are highly trained in detecting mold and assessing the severity of your situation. We can provide microbial investigation services to help you determine the nature and extent of your microbial problem. We collect samples of air and physical matter from the areas affected by mold, including: pieces of wallboards, flooring, insulation, and wood. Samples from an outdoor area nearby are also collected to compare to existing conditions within the structure. The samples are then analyzed by a laboratory to determine the type of fungi present. 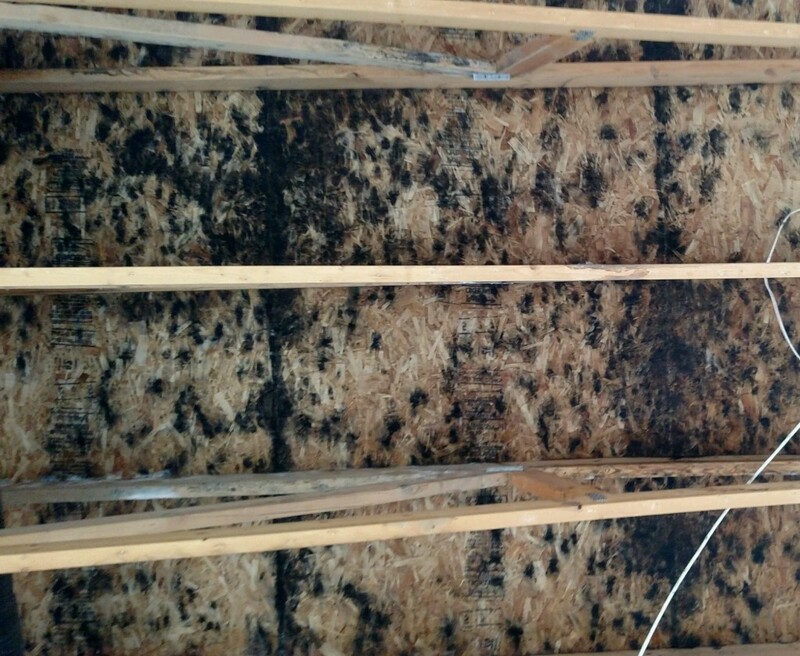 The most common fungi found in structures following water intrusion are penicillium, aspergillus, and stachybotrys. Following identification of the nature and extent of the mold problem, HiCaliber staff will recommend methods of remediation and abatement. 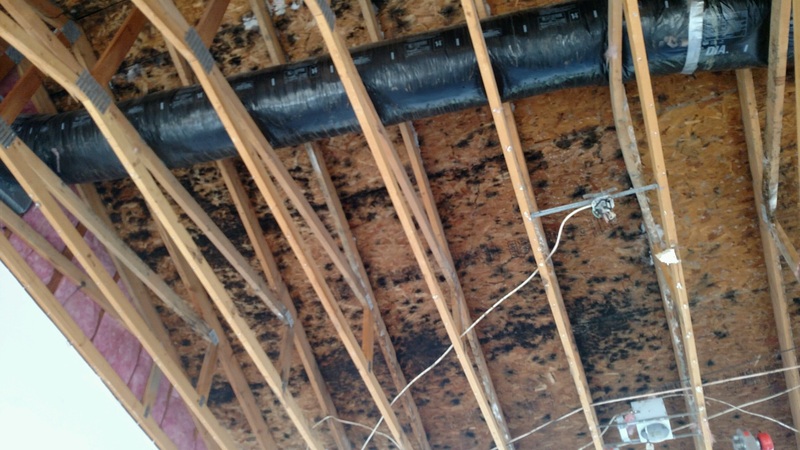 Although the extent of fungi present can be relatively small and confined, a professional, licensed mold abatement contractor should conduct the remediation and repair process. For larger, more widespread situations, this may require relocation of building personnel while abatement work is ongoing. To ensure that all mold has been properly removed from the air and structure, HiCaliber will return after the abatement activities to perform a post remediation inspection and collect more air and physical samples to verify the mold has been properly eradicated. This entry was posted in Bio-Hazard, Commercial, Community, Construction, Disaster, Health, Home Maintenance, Insurance, Mold, Mold Testing, Odor Removal, Remodels, Renovations, Repairs, Upcoming events, Water Damage and tagged bio hazard equipment, black mold, emergency services, health risk, moisture detection, mold damage, mold removal, mold testing, restoration services, Southern Utah Homes, Water Damage. Bookmark the permalink.